We are delighted to invite you to our fifth annual talk on strategies for helping children and teens with ADHD, by leading ADHD experts. As an overnight summer camp for children and teens with special needs including ADHD, learning disabilities, and ASD – we’re always learning and sharing best practices with families and professionals. That’s the reason we’ve been running these free talks by ADHD experts for the past few years. Our ADHD experts speaker series is free for parents, caregivers, teachers and professionals who work with children and teens with ADHD, learning disabilities & ASD. The event will be held at the University of Toronto’s George Ignatieff Theatre, 15 Devonshire Place near Bloor & Bedford Avenues on February 5, 2019 at 7 PM. While the Kennebec Speaker Series is free to attend, you must register in advance to gain entrance. Please use registration form at the bottom of the page. Creating Possibilities in ADHD & Learning Disabilities: Don’t Stop at the Burger, Insist on the Combo! Based on audience feedback, we’ve extended the length of the Q&A session by an additional 15 minutes this year. Drs. Almagor & Miles will speak for about 15 minutes each, followed by a break and then a 60 minute Q&A session. According to the speakers, they chose the title, “Creating Possibilities in ADHD & Learning Disabilities: Don’t Stop at the Burger, Insist on the Combo” as a way to highlight their findings that a combination of treatments with a team of experts is the best recipe for success with ADHD and learning disabilities. In the Q&A session they’ll also answer your questions about ADHD, learning disabilities strategies inside and outside the classroom, the types of treatments that they’re finding most effective and the expertise you want on your team! Year after year, parents, teachers, professionals in the field and audience attendees rank our information nights as extremely informative and helpful. In fact the only complaint we receive is that they wish we had even more time to ask questions. That’s why this year, we’ve added space on the registration form to ask your questions in advance. We will share questions we receive with the speakers, who will try to incorporate answers in their presentations. 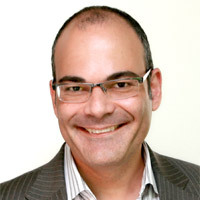 Dr. Doron Almagor is a Child and Adolescent Psychiatrist (Royal College Subspecialty Certified) who completed his specialty training in Psychiatry at the University of Toronto and is an expert in the diagnosis and treatment of ADHD and associated issues. He is the Director of The Possibilities Clinic, Chair of CADDRA – Canadian ADHD Resource Alliance and editor of the 4th Edition of the Canadian ADHD Practice Guidelines. He has served as the President of the Ontario Psychiatric Association (OPA). Dr. Almagor was trained as a psychoanalyst and is a member of the International Psychoanalytic Association. He has lectured internationally and taught courses in the areas of ADHD and its comorbid disorders such as Learning Disabilities, Tourette Syndrome and anxiety. 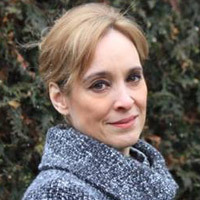 Brenda S Miles, Ph.D, C. Psych., is a clinical paediatric neuropsychologist who has worked in hospital, rehabilitation and school settings. She is interested in evidence-based interventions and brain plasticity in Learning Disorders. Translating complex psychological phenomena into concrete strategies for parents, children, and educators is a central goal of her practice. She is the author of several books for children including, How I Learn: A Kid’s Guide to Learning Disability and Stickley Sticks To It: A Frog’s Guide to Getting Things Done. At The Possibilities Clinic, Dr. Miles conducts psychoeducational and neuropsychological assessments and provides consultation regarding evidence-based interventions that leverage neuroplasticity. While the Kennebec Speaker Series is free to attend, you must register in advance to gain entrance. Learn more about our overnight summer camp for children and teens aged 6+, with ADHD, autism, OCD, learning disability, anxiety and other special needs.